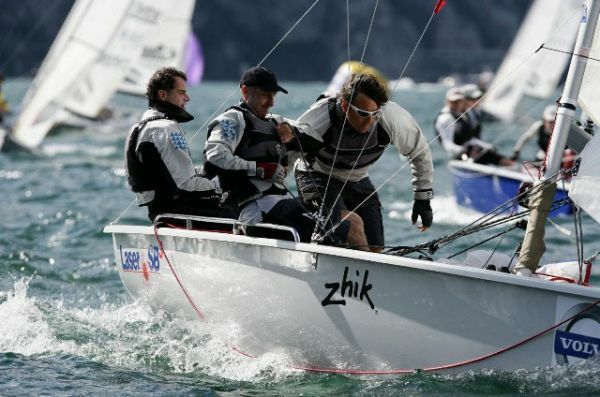 Australian born clothing brand Zhik are officially announced as title sponsor of the SB3 World Championships to be hosted by the Royal Torbay Yacht Club, UK in May 2011. Partnering with the SB3 class enables Zhik to work with the largest global sportsboat class, with over 120 boats already entered for the 2011 World Championships. The partnership will also help provide full media support to the event, enabling high quality images, daily interviews and video to be released on a daily basis for international spectators to enjoy via the official event website www.zhiksb3worlds2011.com Defending SB3 World Champion, Jerry Hill and his crew members, Grant Rollerson and Matt Alvarado will all wear the ISOTAK range during the 2011 SB3 World Championships. Although entries have now reached 120, the Royal Torbay Yacht Club will still accept entries to the 2011 World Championship. Representatives from fourteen nations will compete in the World Championships. The host nation field an entry of over seventy boats. Entries come from as far afield as Australia and South Africa. Ireland, France, The Netherlands, Portugal, Greece, Switzerland, Belgium, Germany, Ukraine and Russia will all be represented in Torquay in May. The three Laser SB3 World Champions, Geoff Carveth (2008 Champion, Dun Laoghaire), Craig Burlton (2009 Champion, Cascais) and Jerry Hill (2010 Champion, Torbole) will all compete for the 2011 Championship title.